Synopsis: So you want to make Cappuccinos and Lattes at Home or in the Office. 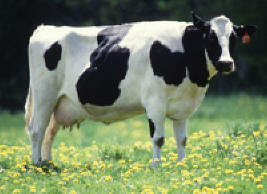 We recommend to learn a little more about issues with using Fresh Milk, a dairy product. 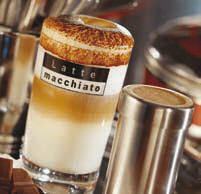 Specialty Coffee such as Cappuccino, Latte and Café au Lait are still gaining in popularity. The challenges of handling fresh milk are often overlooked. Milk is a dairy product and sanitation requirements can be overwhelming, pending on the solution you choose. Consistent quality and quality control. A steam wand is submerged in fresh milk held inside a stainless steel frothing pitcher. There are many degrees of automation available within this category. They are also referred to as 2-step solutions. Also referred to as 1-touch or 1-Step cappuccino solutions. The espresso machine will dispense hot foam or hot milk and espresso into the cup without having to move the cup around by the touch of 1 button. Mostly used for self serve applications. These are milk foaming devices that operate independently from the espresso machine. They are usually used to produce hot milk or hot foam. We have solutions delivering as much as 60L (almost 16 gallons) of hot milk per hour. Ask yourself how fast would you like to execute an order of let's say 4 x 20oz. lattes to go? If you decide on a one-touch or 1-step cappuccino solution, how fast do you need to produce the beverage. Thanks to independent steam boilers, most of our solutions can generate continuously steam to ensure you don't end up in a jam while the machine needs to recover. Many low cost solutions can't even steam milk while the espresso is being brewed. All our systems have no issues with this one. This is the hottest topic and often not understood. While one touch systems appear to be idiot proved at first, once it comes to the maintenance and sanitation tasks, most operators underestimate the challenges. Many operators still persist that the "show effect" or "theatre" while preparing specially beverages is an important factor in customer perception. The Barista becomes an important part of the ambiance. With the Fine Steam technology on most of our Super Automatic Espresso Machines even the novice staff can prepare drinks like the pros. This can be a nightmare for staff to deal with. Especially on some one-step solutions, foamer heads must be taken apart and soaked in acid to break down bacteria and calcium build up inside. Make sure you ask sales staff to show you what's involved and how many parts the foaming device consists of. Ask us about disposable foamer technology on the Schaerer product line. This eliminates the sanitation process of the milk system. The easiest system to maintain and to keep clean is the 2-step approach by using the steam wand and frothing pitcher while maintaining an automated approach thanks to the Fine Steam technology. Milk over 5°C will grow bacteria already after 3 minutes. In other words, all utensils in contact with milk, such as steam wand, stainless steel pitcher, automatic foaming devices including milk tubes must be cleaned immediately. So, pick the system that works for you, ensure consistent quality, independent of staff preparing the beverages. Ask yourself how you can monitor the quality.